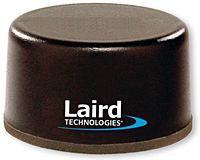 The Laird GPSU15M antenna is a robust, rigorously tested and environmentally sealed unit suitable for a wide variety of GPS applications. The GPSU15M is ideal for vehicle tracking, fleet management and a variety of location applications installations requiring maximum security and durability. The GPSU15M antenna is fully waterproof and features o-ring sealing that protects the antenna against severe environmental conditions for reliable, long-lasting performance.